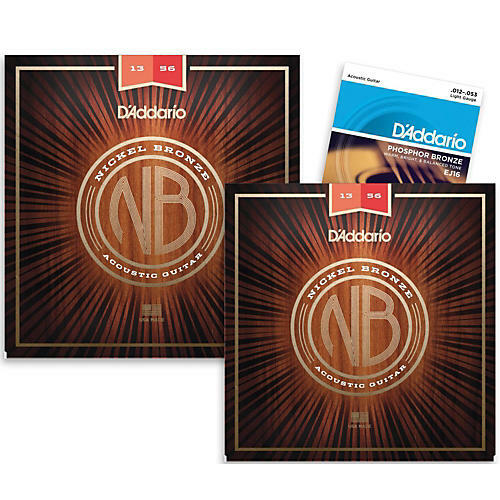 The package includes three sets of specially priced acoustic strings from D'Addario—a 2-pack of NB1356 Nickel Bronze and a single pack of EJ16 Phosphor Bronze. It's an easy to see which ones work best for you. These acoustic guitar strings feature a computer-controlled wrapping around a hex core. The popular alloy of phosphor bronze lends the depth needed to make a dreadnought guitar speak, while retaining the sparkle a fine instrument can produce.